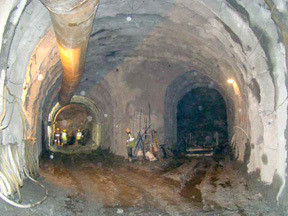 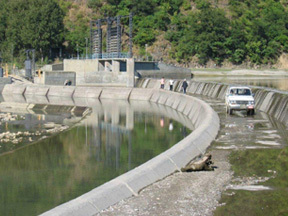 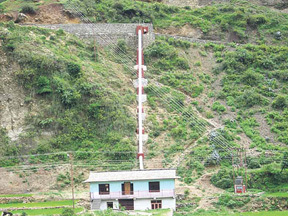 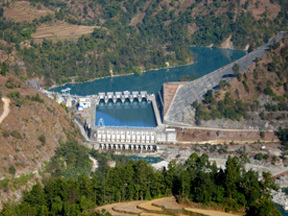 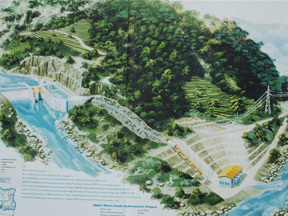 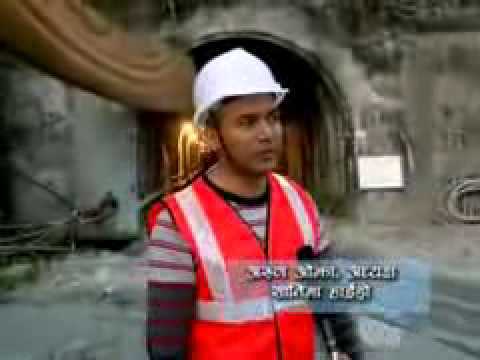 Lower Hewa Khola Hydropower Project (LHKHPP) (developed by Mountain Hydro Nepal Pvt. 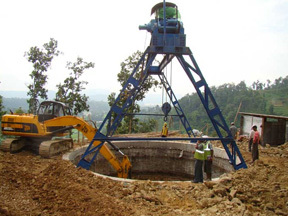 Ltd) is located in Panchthar District of Eastern Development Region of Nepal. 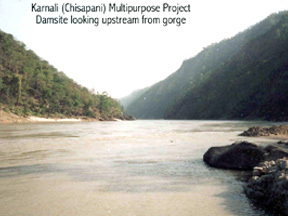 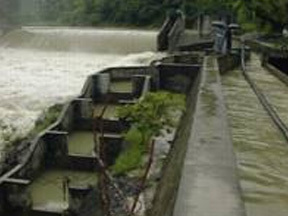 The project is a run-of-river type in which water will be diverted from the Hewa Khola and the Pheme Khola just upstream of their confluence, by constructing concrete weir at hewa and boulder rip-rap at Pheme. 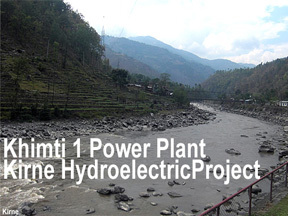 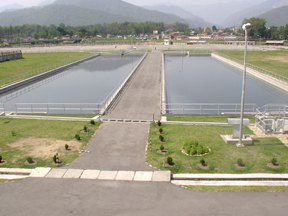 The Combined design discharge of project is 14.838 m3/s with 40% probability of exceedance level will be diverted for power generation through the side intakes located at left banks of Hewa Khola and Pheme Khola respectively. 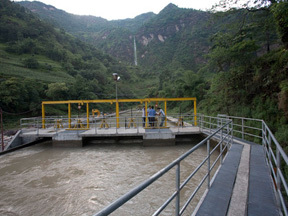 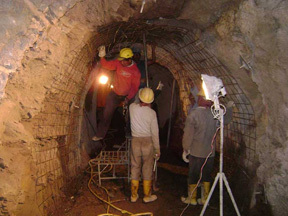 This project utilizes a gross head of 178.09 m in between the intakes at an elevation of 636.09masl and tailwater level 458.00 masl. 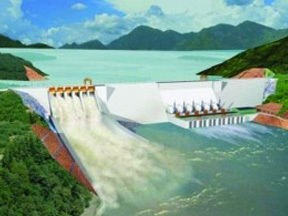 The total length of the waterways including intakes, approach canals, settling basins, headrace tunnel, penstock pipe and tailrace will be about 6039 m.
Intakes at Thapatar village and Limbugaunand Powerhouse at Saranta village of Phidim V.D.C.